ILIGAN CITY—We all take that alternative route whenever we try to avoid traffic. Most of the time we do not mind this longer drive as it takes us through a more scenic route. The open spaces allow our eyes to breathe, and we relax in our seats—we might even wish there was a nice stopover, like a café, along the way. For those driving down the B. Andrada road along Andrada Heights here towards the Tambo exit (where the bus terminal is located), consider that wish granted. Sitting quietly on a rise by the road is the almost unobtrusive Homebrew Café. If not for the parked cars before it, it would not be impossible to miss it. 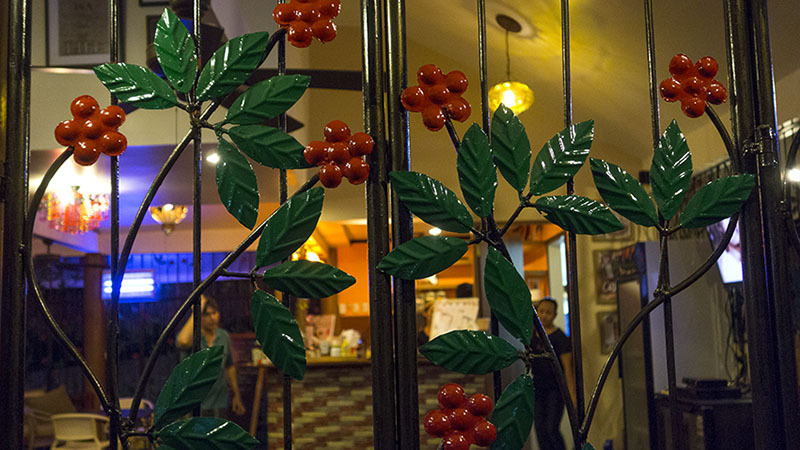 Homebrew Café is a new and very welcome addition to Iligan’s culinary establishments that is owned and operated by Ms Erla Bansuelo Tan, a physical therapist who opted, instead, to heal the body through a different skill she acquired—the preparation of healthy, organic food and beverages. The café’s location may raise some eyebrows from those who subscribe to the sound business dictum of success having a lot to do with “location, location, location”. 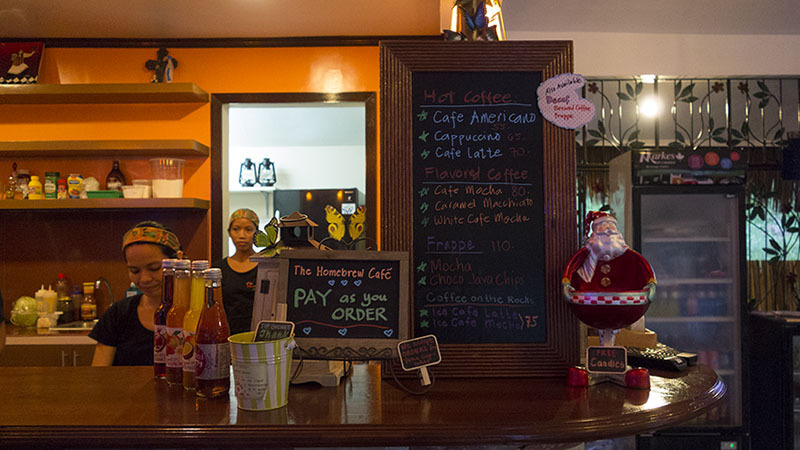 However, for those looking to sip coffee or have a nice light meal in a quiet and clean, well-lighted place, then Homebrew Café couldn’t be located at a better spot. 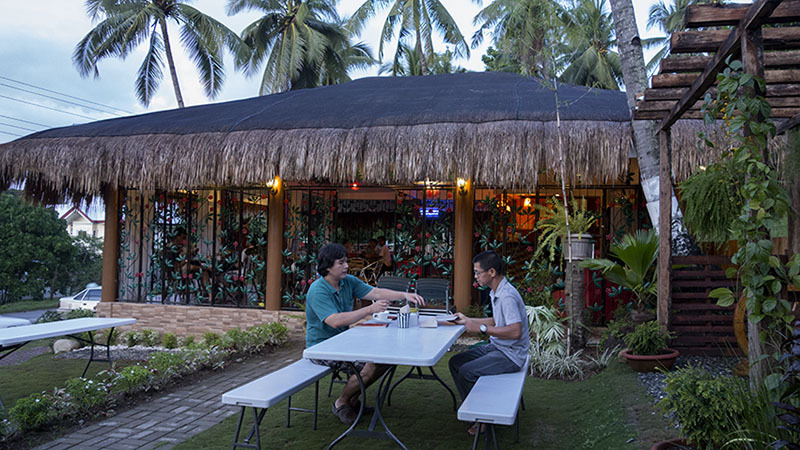 One could half expect to find Ernest Hemingway’s deaf old man sipping brandy by the shadow of a tree when he approaches the cogon grass-roofed open air café from the road. Walking into the main part of the café would reveal a mishmash interior that is reflective of owner Erla’s eclectic taste. Erla is a confessed awatera (imitator) who makes no secret of taking ideas from cafes and restaurants she encounters wherever she may be, and incorporating them into her dream establishment. Notable also is her ability to innovate. Being unsatisfied with the bareness of the café’s iron-wrought walls, Erla had vines and flowers that she designed and personally painted added to the walls. She further displayed her creativity by fencing off the café grounds with pallets, which just happened to be available to her. 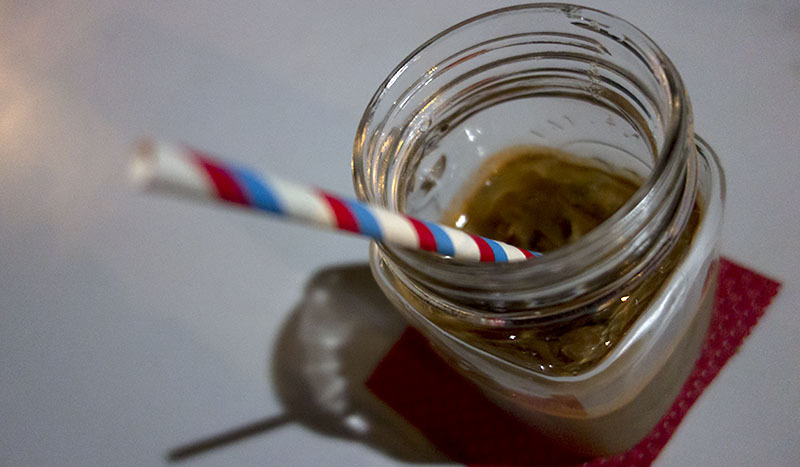 This creativity is also best displayed in Homebrew Café’s specialty, which is the Jars of Greens. Jars of Greens might just be this newly-opened café’s strongest selling product. It is an organic juice made from a blend of those delicious and nutritious vegetables and fruits like spinach, carrots, cucumbers, apples, pears, and lemons. “I call them my Daily Dose of Greens,” Erla said. 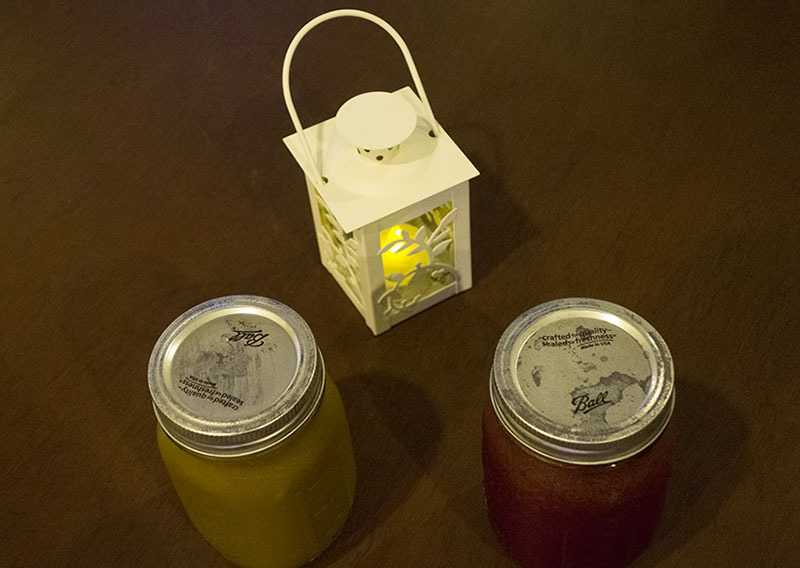 This writer and photographer-friend, Bobby Timonera, were served this juice inside a vintage Libbey Ball Mason jar by Erla, and both agreed it was worth coming back for more. Also in the works, according to Erla, is the Homebrew Power Drink that will target bikers who are starting to drop by the café on a regular basis. “This power drink will contain whey protein, oatmeal, fruits, and chocolate,” Erla said with an obvious nod to the nutritious shake popularized by Herbalife. Aside from the Jars of Greens and the fresh strawberry juice, Homebrew Café also serves yema cupcakes, pancakes, waffles, and a variety of popular sandwiches. 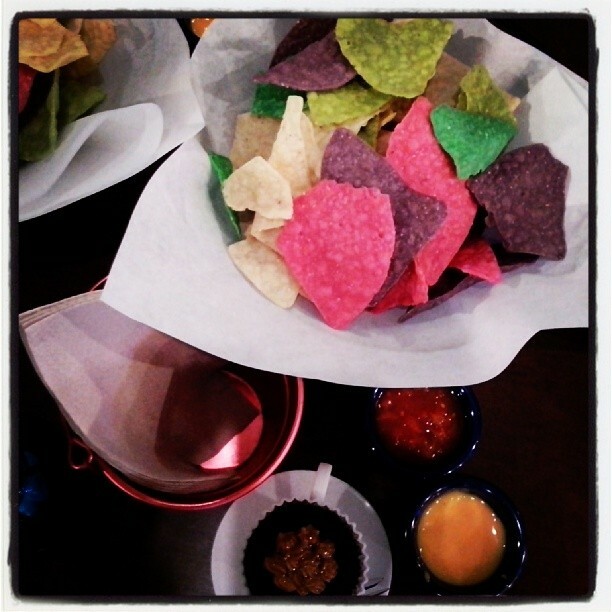 The colorful nachos is also a joy to have. The love for cooking came to Erla while in high school at the Developmental High School (now Integrated Developmental School) of MSU-IIT, and she mentions with fondness her home economics teachers: Prof. Rosalina Gonzaga and Dr. Lydie Paderanga. “I really learned a lot from our food trade classes back then,” she said. Of course, Erla also enrolled herself later on in short cooking courses in Manila under the tutelage of the likes of Sylvia Reynoso Gala and Heny Sison. However, all that training and skills-acquisition were originally just meant to benefit Erla and her family. “It was all just for the house, and for our guests,” she revealed. And guests did tend to arrive at their home as Erla is married to a scion of one of Iligan’s biggest families, the Andradas. 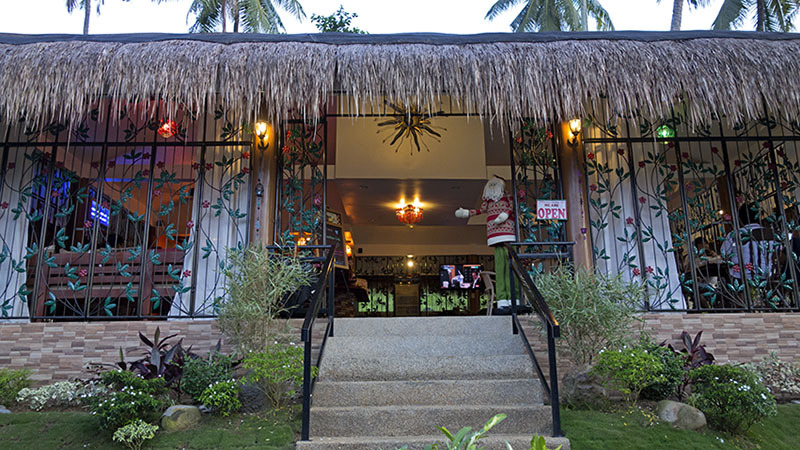 Erla’s husband is Renato Andrada Tan who runs Rene’s Diner, a popular restaurant and pension house in Iligan. He studied at the Ecole Les Rouches, an international school of hotel management in Switzerland, and worked in the Philippines as a sous chef for the Hyatt Hotel, La Primera Vera, and Larry Cruz Bar & Restaurant. Erla and Renato have two children, Beatrice, 18, and Alessandra, 11. Despite the long shadow cast by Erla’s husband, Erla is coming into her own in the restaurant business with the apparent steady flow of patrons who do not mind the drive to her café. This entry was posted in Features and tagged Andrada, Café, coffee shop Iligan, Erla Tan, Homebrew Café, Iligan, Iligan cafe, Iligan cafe and resto, Iligan coffee shop, Jars of greens, Kamonade, Rene's Diner. Bookmark the permalink. I enjoyed visiting and dining at this restaurant on my visits of 2014 and 2015. So many choices on the menu it was difficult to make up my mind so I chose something that looked most familiar, a ham sandwich. After a few bites, I realized this was no ordinary Ham Sandwich, it was the best Ham Sandwich I can ever remember eating and believe me I have had a lot of them. My first visit was in the evening after sunset so I could not appreciate the exterior and the outdoor dining area. This prompted me to return to Homebrew on my next visit. In the early afternoon I was seated at one of the outdoor tables and while looking across the street which is mostly a wooded area with livestock, as a trisikad went by and a cow was grazing it gave me the thought ” Country Dining without having to leave the city “. A wonderful experience !